The Latin American market for hair- and skincare products is growing and still seems to have great potential with statistics speaking about an average annual growth of 5.2%. Latin Americans spend more on hair care than any other product. Consumers have become increasingly interested in shampoos, conditioners and styling agents that protect and improve the condition of hair. Vitamin- and herbal-infused products are increasingly popular. Products that target specific hair textures are also gaining ground in Latin America. Colorants are another important niche. Latin women enjoy experimenting with new colours, either subtly enhancing their natural color or dramatically altering their hairstyle. According to beauty companies, active on the continent and producing and selling personal care products, the Latin American mentality itself creates and stabilizes a market for these products. Per capita consumption of cosmetics and personal care products in Brazil is expected to increase at a CAGR (Compound Annual Growth Rate) of 15.49% during 2008-2011. Skin care market, one of the major segments in the cosmetics & personal care industry, is projected to clock in a CAGR growth of 22% during 2008-2011. Sales growth of hair care products is anticipated to attain a CAGR of 19% during 2008-2011. 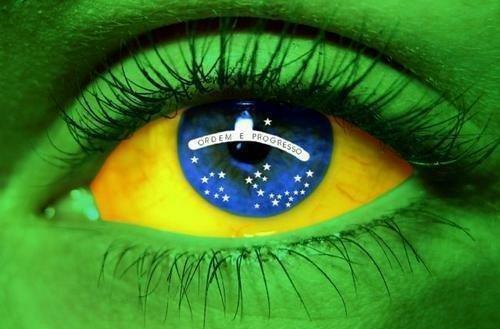 Colour cosmetics sale in Brazil is likely to move up at a CAGR of 18% from 2008 to 2011. Rising cosmetic consumption in Brazil will stimulate the demand for chemicals in the cosmetics & personal care industry to US$ 12.83 Billion by 2011. Pharmacy sales of male cosmetics in Brazil are expected to rise to 20% by 2010. Hair care products accounted for more than 25% (expected) of the total cosmetics & personal care market in 2007. But nowadays the whole continent is considered one big attractive growing market for small, medium and large companies, where consumers are ready to try new products and company risks can be balanced over the different countries. But some Latin American cosmetic companies can even rely on governmental support, as is the case in Chile and Argentina. These countries are looking to partner with foreign countries, for example to form a strategic alliance with biotechnology firms in a venture supported by the government. These initiatives seek to promote the research and development of bioactives for commercial use in cosmetics, health care and functional foods. Research will focus particularly on bioactives and tissue culture derived from Latin American medicinal plants. Interested to get more information on the great market potential for hair- and skincare products in Latin America? Please contact us to get your entry in the Latin American market!